Most people think Millennial problems are over-exaggerated and a product of the entitled “Millennial hipster” archetype we’ve created. I was in New York City last week pitching over 60 media outlets about my new book All Groan Up: Searching For Self, Faith, and a Freaking Job! and telling them the story of what our generation is really having to go through. Some media members totally understood the challenges facing Millennials, have seen it firsthand themselves, and wanted to get to the bottom of these issues with me. One radio show host even shot back with “F*ck Millennials.” At least his opinion was somewhat original. Yet, the Millennial generation is experiencing real, insane, challenges. Many of them at levels unparalleled to what Gen X and Boomers experienced. And it’s a little more weighty and substantial than the fact that some of us won an Honorable Mention ribbon for coming in last place in 4th grade. I have statistics about the real challenges facing Millennials that might shock you. Or bring waves of clarity for all the twentysomethings out there who have felt lost, frustrated, and fighting an uphill battle. With the Great Recession happily pulling the pin. I’m not here to whine about these challenges, I’m here to open up a real conversation about them so that we can figure out how we overcome and thrive. Millennial Problems #1: Millennials are the largest generation at over 85-90 million people in the US, and are the most educated generation in history. This sounds exciting, but with the supply of educated workers much higher than the demand for them in the workforce, it has created a perfect storm for unemployment, underemployment, and a flat-out frustrating beginning to our career. The college diploma feels worth as much as your high school degree now, with the new tension of feeling like you have to now get a master’s or Phd to even be allowed into the game. But I was just talking to a friend who just received his master’s degree in Biology from a well-respected state school who said that half of his classmates were working part-time jobs and still living at home. A degree still feels like a must, but it is no longer the automatic door opener. This stat from PEW Research says it all. We are stepping out of what I term The Steroid Era — just like the heroes in sports we cheered and cried out for were found to be “artificially enhancing” their success, so was almost every facet of business, real estate, and government. When leaders, sports figures, and CEO’s say, “I’m not a Liar” it merely feels like the perfect preface for Stephen Colbert to use as a punchline. Every generation uses the ceiling of the generation before them to become their floor to build off of. Instead, it feels like our generation is dodging the crumbling remains of the ceiling exploding above us. With the national college debt now at 1.3 trillion dollars and college tuition seeing a 1,140% increase since the late 70s, coupled with the longest stretch of income stagnation in the modern era, no wonder why the highest percentage of twentysomethings ever recorded (around 35%) are living back with their parents. 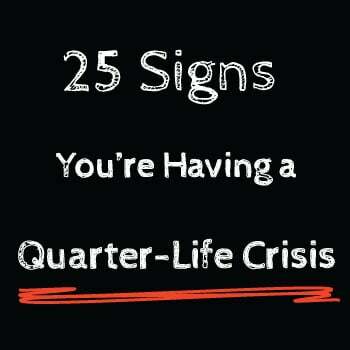 With some of the statistics above, no wonder so many twentysomethings feel like they’re going through a quarter life crisis and are looking for ways to cure this intense identity crisis. Many want to blame Millennials’ problems on the fact that we’re entitled and lazy. Sure, we have things we need to improve upon as we re-set our expectations and timeline for how long and hard it’s going to be to find our way. But when I look at Millennials I don’t see a generation entitled to success, we are obsessed with it. We don’t know how to fail. And even when we do fail, we’re pretty sure we actually won…We grew up in a competitive, bell-curve, wait-list society. Fighting for a spot on the team, in a school, at a job, for the win. We don’t want blue ribbons because we feel entitled to them; we want them because we’ve been in a cage match to win them our entire lives. 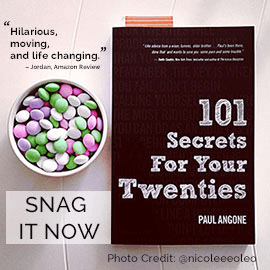 Now, the stakes to win those blue ribbons are just slightly higher.” – Paul Angone, All Groan Up: Searching For Self, Faith, and a Freaking Job! Couple that with the new disorder I’ve coined and call The new OCD – Obsessive Comparison Disorder, and you have a whirling destructive force of anxiety and depression. Buying a house, getting married, and having kids, are all being pushed back 5-8 years later than previous generations. When you can’t afford to pay rent, you’re definitely not thinking about the “typical” adult markers of achievement and progress. Researcher Jeffrey Jensen Arnett calls it “emerging adulthood,” as young adults today aren’t stepping full-force into adulthood, we’re backing into it. We’re sliding our way through all the setbacks to try and create a life we want to live. It’s just taking a lot longer than we ever could’ve planned. There is so much changing right now that I think we’ll look back in thirty years and fully understand why we didn’t feel like we could stand up, because everything was swirling beneath us. Here are 3 things that really helped me overcome these challenges in my life. If we want to find substantial life answers, we need to start with the right questions. There’s something incredibly important and profound to asking yourself intentional questions, and then actually taking the time to write down your answers. 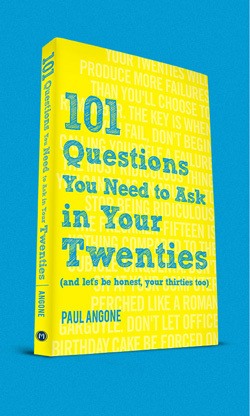 I wrote a popular post titled 11 Questions Every Twentysomething Needs to Ask, if you’re looking for a place to start. 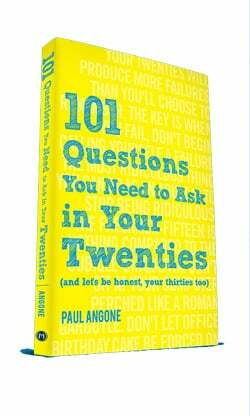 Then my new book 101 Questions You Need to Ask in Your Twenties (and let’s be honest, your thirties too) goes even further. Asking the right questions is the best way to keep adapting and moving further into your purpose, instead of further away, like most. For so many years in my twenties I felt like a failure, when really I was experiencing many small successes that were leading to failed end results. I believe we each have our own Signature Sauce, a unique flavor that we bring to the world that no one else can. And it’s going to take time, effort, and a couple failed experiments and scars to figure out what your Signature Sauce is. Maybe this Great Recession will be the best thing that ever happened to Millennials because it’s forced us to learn patience, perseverance, and grit. Many of us had the cocky slammed out of us by the Great Recession like a Pinata being smacked at a birthday party, and hopefully that will help us reap some sweet candy in the future. Being successful in our 20s is about being purposeful in the process. Maybe our 20s and 30s aren’t about them going as we planned, but how we adapt, change and grow when they don’t. There’s not a one-size-fits struggle that Millennials are facing. 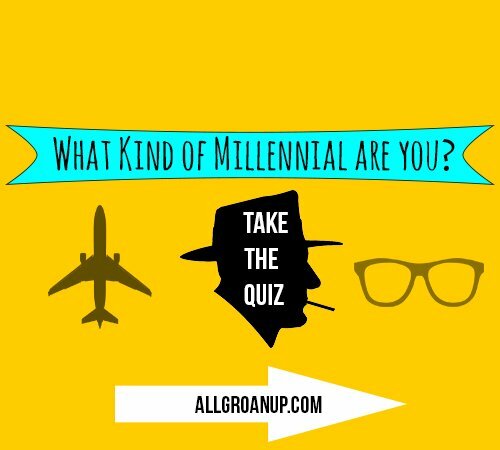 Just as there is no one-size-fits-all kind of Millennial. We must stop minimizing the struggle. Just as we must stop using stereotypes of Millennials as their complete identity. 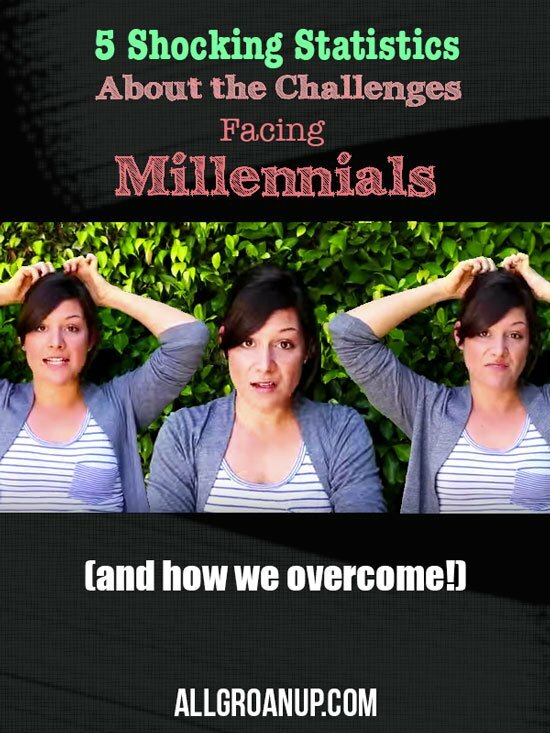 Want to join in the conversation with helpful dialogue about the challenges Millennials are facing? Jump into the Join the conversation below. 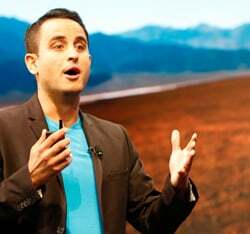 If you’re looking for someone to speak to Millennials at your school or organization, or speak on how to better lead and engage Millennials, check out clips from my speaking engagements to business leaders about Millennials and see what people are saying about my keynote speeches.